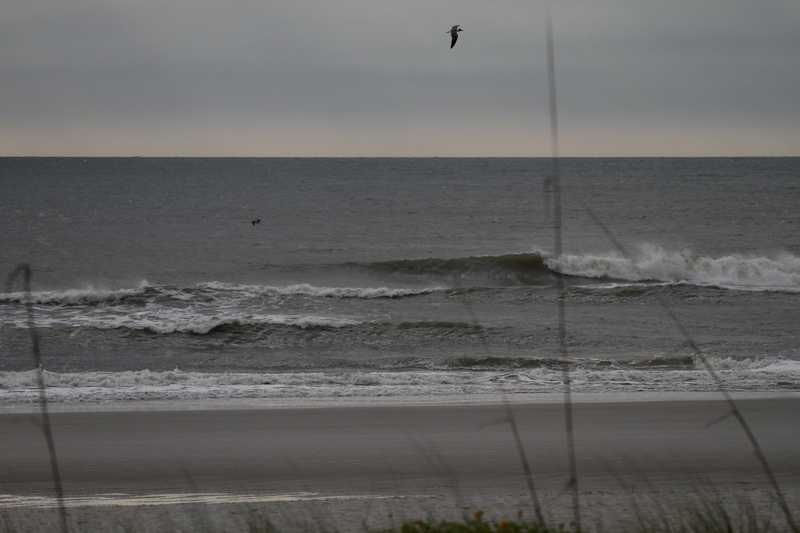 Knee to thigh high range sets this afternoon. The wind is onshore and the tide is just about high. It’s rideable but bring your small wave board.